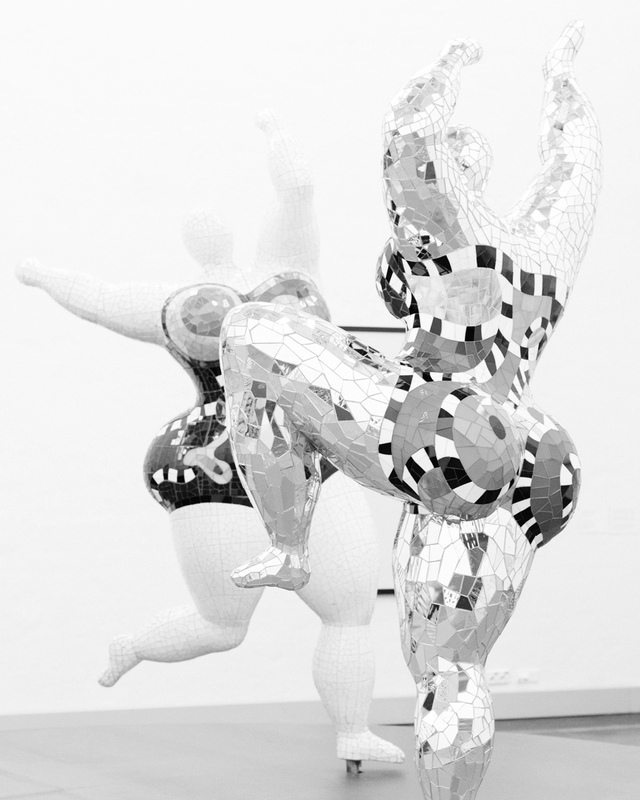 Dancing nana sculptures by Niki de Saint Phalle, photographed in Taidehalli, Helsinki, August 2016. Nothing has as many calories as a bad conscience. This piece of wisdom comes from my friend’s mother Pirkko, who is this amazing, creative woman and an embodiment of a life well-lived. If we feel like eating a piece of cake and we eat it enjoying, we support our wellbeing. But even more interestingly: if we do not eat that piece of cake, but fear what it would do to our waistline, then, we are just a person who had to give up all the heavenly sweet treats in order to fit to their clothes. This has nothing to do with genes. Or calories. This is simply the reality we create for ourselves. Nothing has as many calories as a bad conscience, and nothing is as toxic to your body as toxic thoughts. Most of us grown-ups live with a powerful inner critic but that is nothing we could not work on. The more you focus on loving and supporting yourself, being mindful about what you think, the less power those limiting beliefs have over you – and the more joyful and pleasurable your life is.